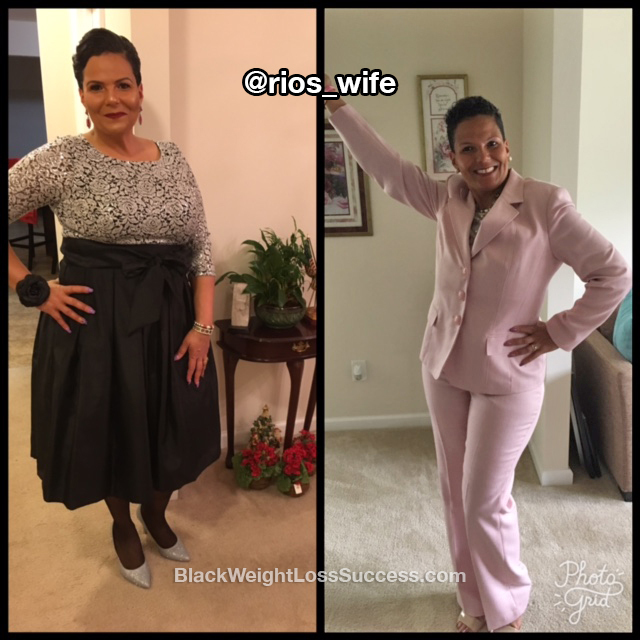 Transformation of the Day: René lost 50+ pounds. What worked for her? High protein, low carb eating combined with cardio, weight training and HIIT. 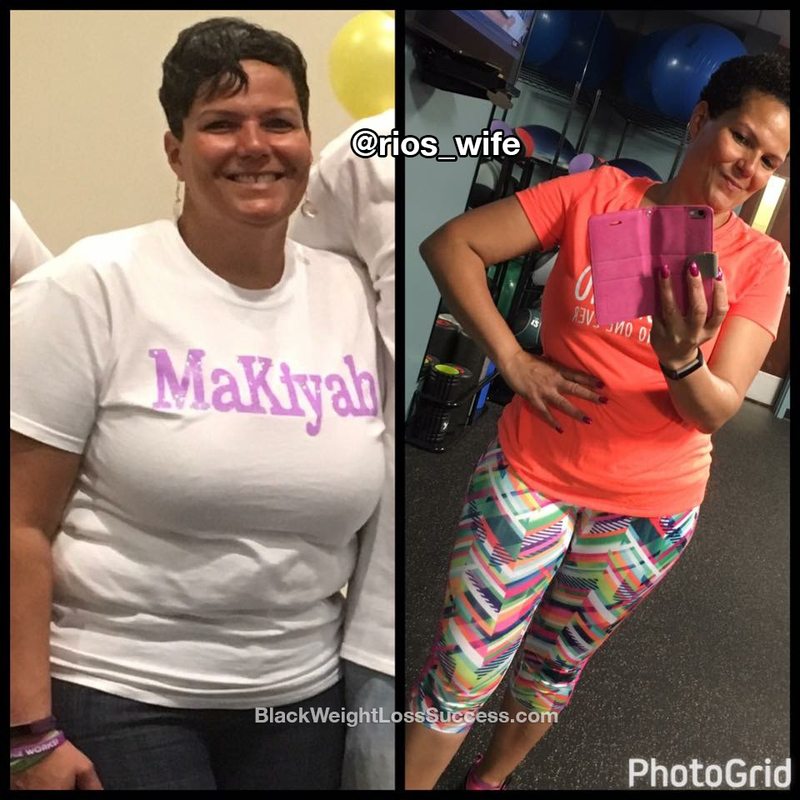 Check out how this grandmother of 2 got awesome results. My name is René, this is my story. In 2013 I changed my lifestyle completely. My starting weight was 228 pounds and I was wearing a size 18W/16W. My goal was 170 pounds and a size 12. From June 2013-Feb 2014, I lost 63 pounds and surpassed my goal! During the process, my only exercise was cardio. Several people told me to add endurance/strength training, but I didn’t listen. I lost the weight but my skin was sagging EVERYWHERE. I purposely tried to gain weight so that I could lose it again, but my body was use to my way of eating. In January 2017, I switched to a high protein, low carb way of eating. I no longer eat red meats, pork or fried foods. My meals consist of high protein choices, vegetables and low to no carbs. I love to snack, but I switched my snacks to items such as yogurt, nuts or a protein bar. Since Jan, I’ve lost 29 pounds with strength training in full effect. My starting weight in January was 205 pounds. I’m 8lbs away from my goal weight, but definitely happy with the transformation so far! My workouts now consist of cardio, weight training and HIIT intervals. I workout 3-5 days a week. If I can’t get a workout in, I strive to reach my 10k step goal with Fitbit. Now, my motivation is to continue to be medicine free, have a healthy heart and hang around for my family, especially my two precious grandchildren. Yes, I’m old enough to be a grandmother. My advice for those striving to lose weight: The race is not given to the swift or to the strong, but to those that endure to the end! Healthy weight loss is not a quick process. Slow and steady wins every time! Don’t focus on the scale. There are numerous non-scale victories that you can look forward too! Have fun, enjoy your food to avoid over indulging, and find an accountability partner.